Around 75% percent of New Zealand School of Dance students gain contracts within six months of graduating. Many former students are leading outstanding careers as classical ballet dancers and contemporary dancers and choreographers. Royal New Zealand Ballet, Footnote New Zealand Dance, Black Grace, Daniel Belton and Good Company, Limbs Dance Company, Java Dance Company, Michael Parmenter’s Commotion Company, Muscle Mouth, Okareka, Douglas Wright Dance, Raewyn Hill & Dancers, Atamira Dance Company, and The New Zealand Dance Company. 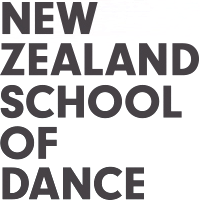 The New Zealand School of Dance is the Official School of the Royal New Zealand Ballet. Many of the company’s dancers have trained at the School. The Australian Ballet, Sydney Dance Company, West Australian Ballet, Australian Dance Theatre, Co3 Contemporary Dance Company, Leigh Warren and Dancers, Strut Dance, Sue Healey Company, Queensland Ballet, Expressions, Dancenorth, Melbourne City Ballet, Chunky Move, Limitless Dance Company, Tasdance, and Shaun Parker & Company. Boston Ballet, Hamburg Ballet, National Ballet of Prague, Nederlands Dans Theater II, Royal Danish Ballet, T.H.E Dance Company, Singapore Dance Theatre, Royal Ballet of Flanders, Rambert, Les Ballets C de la B, English National Ballet, Eastman – Sidi Larbi Cherkaoui, Winnipeg Ballet, Kibbutz Contemporary Dance Company, Victor Ullate Ballet, Zurich Ballet, Rosas, Ballet de l’Opera de Bordeaux, Theatre Pforzheim, Dresden SemperOper Ballett, Les Grands Ballets Canadiens de Montréal, Ballet Arizona, Sasha Waltz & Guests, Finnish National Ballet, Ballet Cymru, Estonian National Ballet, The Hong Kong Ballet and The National Ballet of Canada. Katherine Grange and Loughlan Prior who joined the Royal New Zealand Ballet. Michael Ramsay and James Wasmer who joined Australian Dance Theatre and Black Grace. "Without a doubt, this school is a leader in contemporary dance training in the Australasian region. The calibre of the graduates is consistently among the best I’ve seen and many have gone on to enjoy a career as a professional dancer with our company."